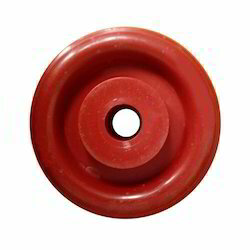 We are one of the leading manufacturer and supplier of Polyurethane Wheels.We obligated to meet the quality standards as per the customer demands. 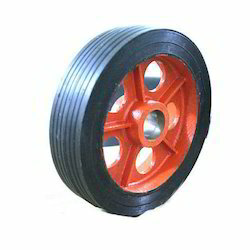 Our this range of Rubber Bonded Wheels is quiet in operation and absorb shock and vibration. 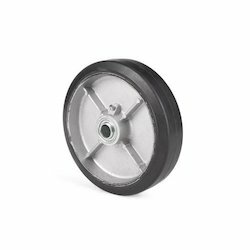 They find their utility best suited to the applications where a light-weight wheel is needed without loss of load capacity. 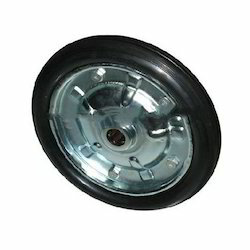 This range of Hand Cart Wheels is best suited to be fitted in hand carts to provide hassle free mobility of the carts. These are ergonomically designed to minimize the force required to initially start the cart manually as well as the force required to keep it in motion. 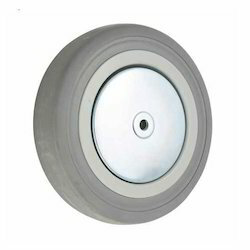 We specialize in offering our clients with another huge range of Grey Rubber Wheels. 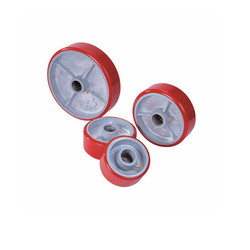 These wheels are made of grey rubber that has great thermal resistance and also offer much stronger grip to the floor avoiding the skid. 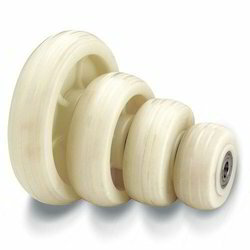 These wheels are also resistant to scratch and mark so have a longer shelf life. 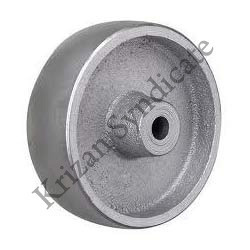 We manufacture and provide Cast Iron Wheels that are made of cast iron and hence smoothly carry heavy load and also assure floor protection. 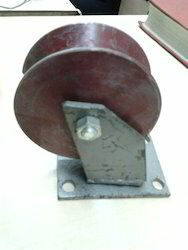 In addition, they offer high strength to withstand sharp impacts. Ideal for loading non fragile items.